Rajinikanth’s Kaala, and not 2.0, will hit screens on April 27. Are you a fan of the much-loved Rajinikanth? If yes, then get ready to rejoice as we have some terrific news in store for you. 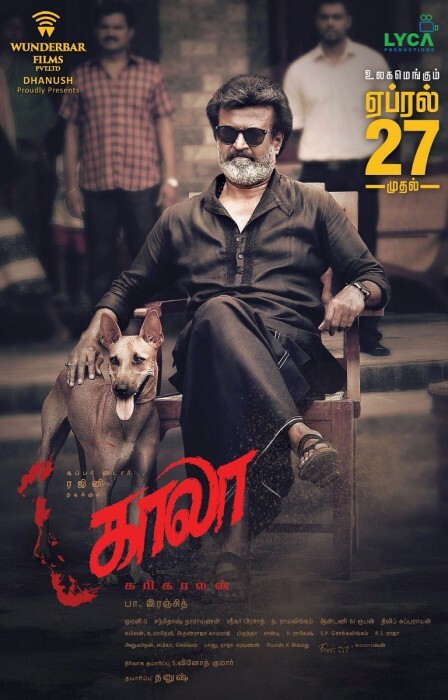 In an exciting development, the makers of his eagerly-awaited Kaala have finally put an end to all speculation about its release date and confirmed that it will hit screens on April 27. In doing so they have also made it clear that his other big film 2.0 has been pushed further and will not be able to keep its date with fans. Well, either way, this is a big announcement and could create a buzz amongst movie buffs. In case you did not know, Kaala is touted to be a crime-drama and has been directed by Pa Ranjith. It marks his second film with Rajini. The two previously collaborated for the 2016 release Kabali and delivered a hit. Let us hope that this one too proves to be a success. Besides Rajinikanth, Kaala also features Huma Qureshi and Nana Patekar in the lead. Nana Patkar will be playing the antagonist and is going to have an onscreen showdown with ‘Thalaiva’. Interestingly, sometime ago, Huma had praised Rajini and said that he is humility personified. On a related note, Kaala comes at a time when Rajini is all set to take the political plunge. On December 31, he had said that he would be forming his own political party and contesting the next Tamil Nadu state Assembly elections. All in all, Rajini fans have plenty to look forward to in the near future.